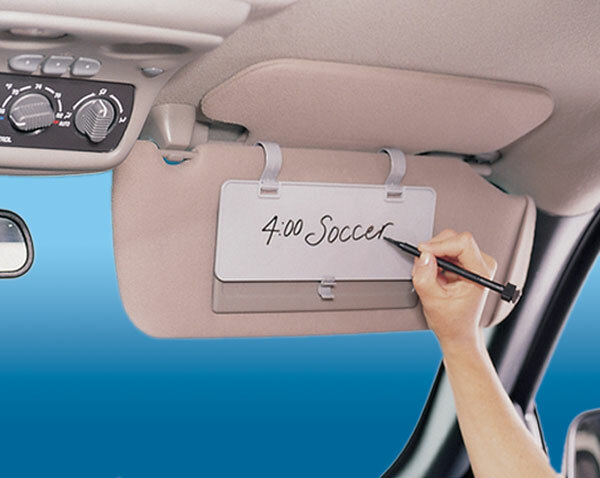 A convenient, erasable note board that mounts to your visor. Perfect for reminders and phone numbers. 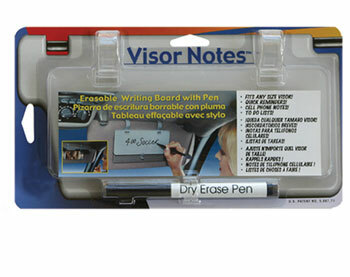 The acrylic writing board is clear and looks good with any interior color. Adjustable clips fit all vehicles. Flips up for access to the vanity mirror.